Cite page (MLA): Wisnicki, Adrian S. "The Aftermath of Livingstone's Death." In Livingstone's Final Manuscripts (1865-1873). Megan Ward and Adrian S. Wisnicki, dirs. Livingstone Online. Adrian S. Wisnicki and Megan Ward, dirs. University of Maryland Libraries, 2018. Web. http://livingstoneonline.org/uuid/node/535bf1aa-5479-42de-984f-7048ec054e4c. This bonus page provides a curated selection of images related to the immediate aftermath of Livingstone's death. The images offer a useful perspective on Livingstone's final manuscripts by foregrounding a series of cultural contexts often left out in iconic representations focusing on Livingstone himself. Livingstone Online's digital collection includes a selection of images related to the aftermath of Livingstone's death in 1873. This bonus page provides a curated selection of these images. Some of the images appeared contemporaneously in the Victorian press; others emerged in subsequent years. The images focus on some of the individuals in Africa and Britain who took part in transporting Livingstone's body to its final resting place in Westminster Abbey and in mourning his death. As a result, the images restore some of the broader contexts in which Livingstone's legacy has resonated and highlight further cultural dimensions useful in the study of Livingstone's final manuscripts. (Left; top in mobile) Inscription on Tree Where David Livingstone's Heart Is Buried. 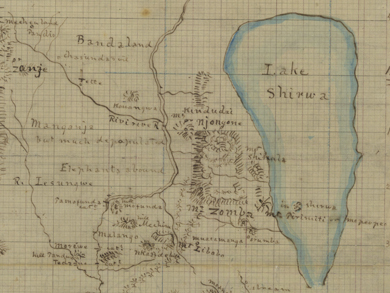 (Right; bottom) Transporting David Livingstone's Body to the East Coast of Africa. Lantern Slides from the Life, Adventures, and Work of David Livingstone (Anon. 1900: , ). Images courtesy of the Smithsonian Libraries, Washington, D.C.
(Left; top in mobile) The Grave, Westminster Abbey. Illustration from Review of David Livingstone's Last Journals (Anon. 1874:400). (Right; bottom) Picture Postcard of the Tombstone of David Livingstone in Westminster Abbey, Date Unknown. Copyright National Library of Scotland. Creative Commons Share-alike 2.5 UK: Scotland. (Left; top in mobile) David Livingstone Memorial, Chitambo's Village, Zambia. (Right; bottom) Inscription from David Livingstone Memorial, Chitambo's Village, Zambia. Lantern Slides from the Life, Adventures, and Work of David Livingstone (Anon. 1900: , ). Images courtesy of the Smithsonian Libraries, Washington, D.C.
Alphabetical Adventures of Livingstone in Africa for Boys and Girls (Iredale 1941:), two details. Copyright National Library of Scotland. Creative Commons Share-alike 2.5 UK: Scotland.